Best Wine Tours Stellenbosch - Leave the Car at the Hotel! South African wine is world renowned. 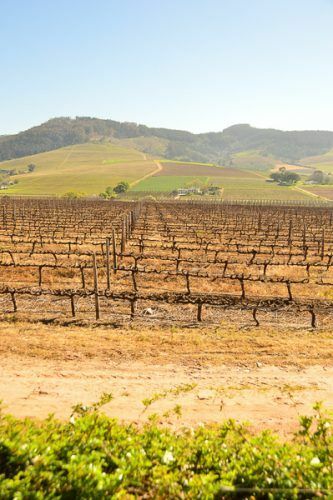 The majority of its wine production takes place near Cape Town. There are four main wine areas: Constantia, Paarl, Worcester and lovely Stellenbosch. Stellenbosch is just 50km East of Cape Town. 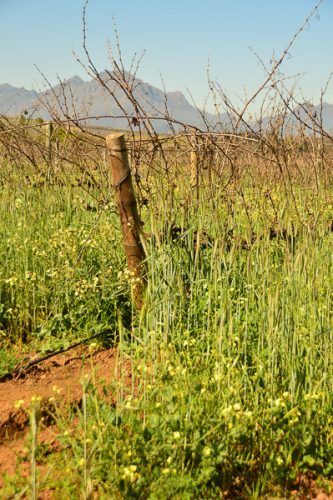 It is located at the bottom of the Stellenbosch mountains and has a Mediterranean climate – dry and warm summers and mild and wet winters. It is a beautiful region with rolling gentle hills and big skies. The town of Stellenbosch is full of character with its Dutch-style buildings and lots of cute boutiques and coffee shops/cafes. But of course, it is all about the wine! And the wine is just fabulous! I am Australian so I love a big rich new world wine thus Stellenbosch suited me down to the ground. However, you don’t need to have an Australian palate to enjoy their wonderful wines and there is an extensive variety of grapes and blends on offer. There are seven different types of wine tours of Stellenbosch. The different options are based around half or full days, one or more wine regions, adding food, private or group or method of transport. I loved this concept! The Vine Hopper is a hop on hop off bus that takes you around the wine region. The bus picks you up and drops you back at your accommodation so you don’t need to think about driving at all. There are three different routes and each has six winery stop. 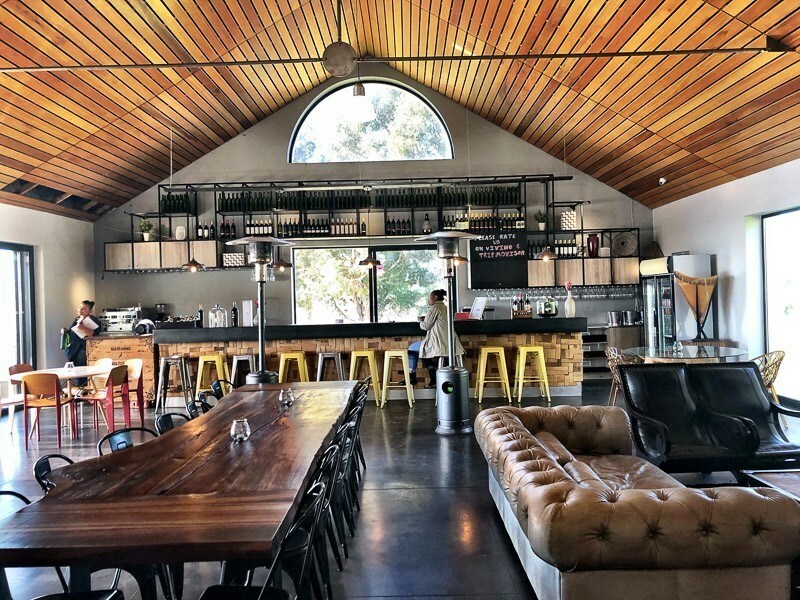 I checked the wineries beforehand and decided where I wanted to have lunch and which ones I particularly wanted to visit so was able to easily plan my day to maximise the varietals that I like best! Each route covers a different wine area – Southern, Northern or Eastern. The tours run on different days eg the Southern Route currently runs Tuesdays, Thursdays and Saturdays. This means that there is a vine hopper operating pretty much every day. It also means you can use the vine hopper a couple of days in a row and visit different wineries. I thought this was a fantastic concept and it worked very well. I took the Northern Route and made a full day of it visiting five of the six wineries. Simonsig was my personal favourite and where I ordered wine to get sent to the UK. 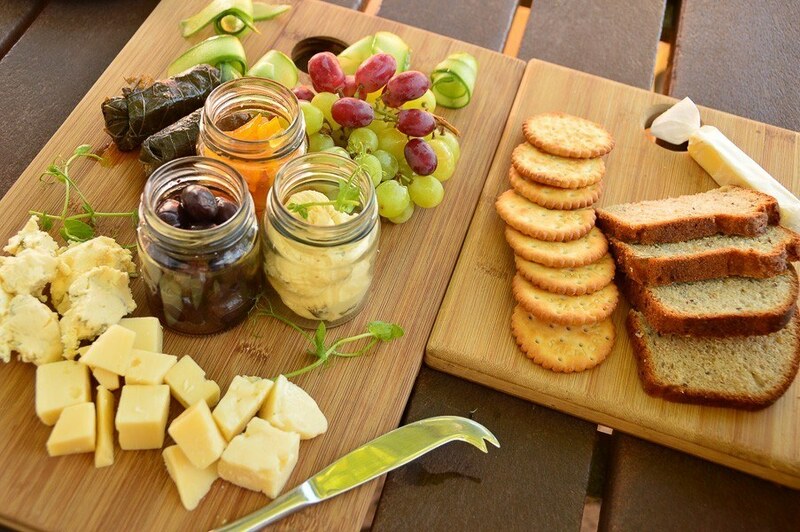 I had lunch at Delheim which was lovely – sitting outside with a very tasty platter of cheese and meats. How do you like to get between your vineyards? There are several transport options when it comes to Wine Tours Stellenbosch. 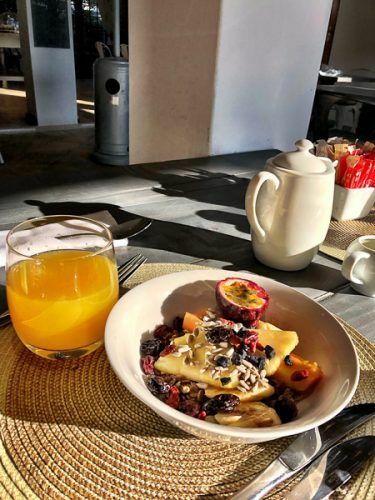 If you like cycling there is a Half Day Stellenbosch Winelands Mountain Bike tour which includes two wine tastings or if you’re really keen a full day cycling trip from Stellenbosch to Franschhoek Valley which includes lunch and tastings. Or how about wine and horses? There are lots of options here! There is a one-hour vineyard trail ride option or a two-hour vineyard trail ride. There is a half day Wine Tasting Horse Trail tour that takes in both. Or if you really like horses there is a Full Day Wine Tasting and Horse Riding tour. Or for something really different check out this Full Day Wine Tasting Tuk Tuk tour. 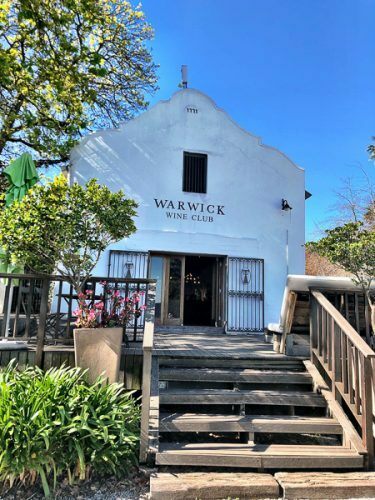 In addition to getting around Stellenbosch in a Tuk Tuk there are five tasting stops and most of those also include food – from chocolate to biltong to cheese. Several of the wineries I visited work with Capreo. Capreo basically ship wine from South Africa all over the world. It is a great idea to sign up with them and then make your purchases through them. They then provide costs which include duty and taxes in your currency which is great. Also, once the wine arrives they have already made all the payments so there is none of that hassle of having to organise additional payments etc. I highly recommend using them! If you’re staying in Stellenbosch this Full Day Wine Tour is a great option. It kicks off at 930 and will take you to four wineries (with tastings of 4-6 wines per winery) and a cheese and charcuterie lunch platter. The tour visits Franschhoek and there is a chance to wander and it also visits a Nelson Mandela statue. They will pick up from Cape Town for an additional fee. If you’re staying in Cape Town and limited on time but want to see as much of South Africa’s wine country as possible then this Stellenbosch, Franschhoek and Paarl Full Day Wine Tour is for you. It covers all three of the regions, cheese and biltong and three wine tastings. Daily Different tours are a new offer. These are guaranteed small group tours (no more than 8 people) and focus on lesser known “secret” wineries. 4-5 tastings are included as well as cheese or biltong and lunch. Daily Different Tours can do a pick up from Stellenbosch or from Cape Town. 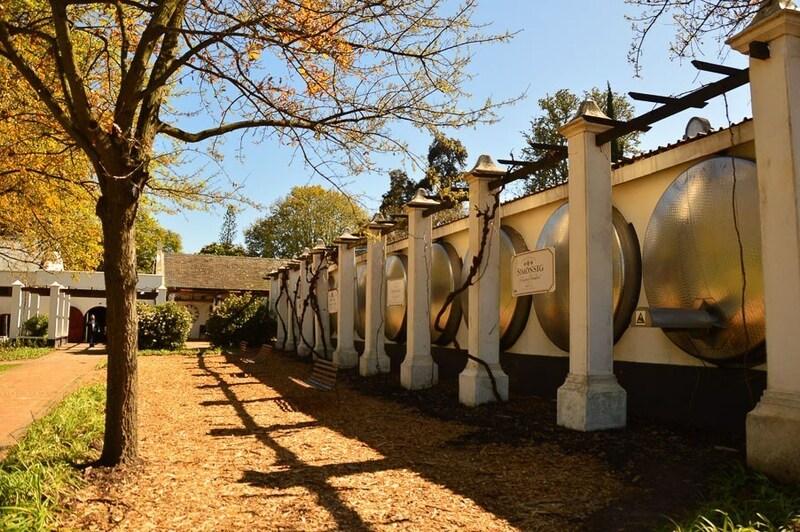 If you’re staying in Franschhoek try this Full Day Cape Winelands tour which visits 5 wineries and covers Franschhoek, Paarl and Stellenbosch. It finishes with a Diamond Cutting tour and bubbles! Or why not experience the region with an actual winemaker? 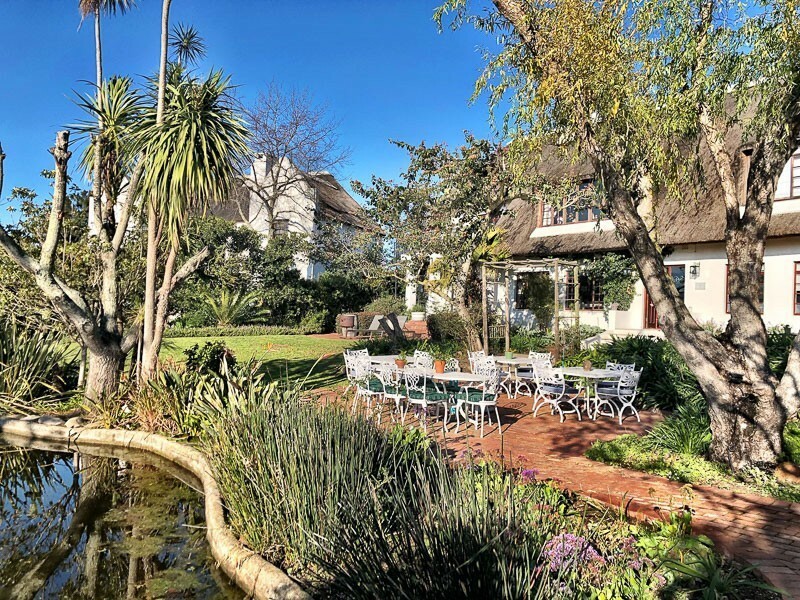 This full day wine tour with a Stellenbosch Wine Maker is a small group tour with pick up and drop off in Stellenbosch. Hop on your bike and head off on the Half Day Stellenbosch Winelands Mountain Bike tour. Or try mixing wine and horseriding on the half day Wine Tasting Horse Trail tour. 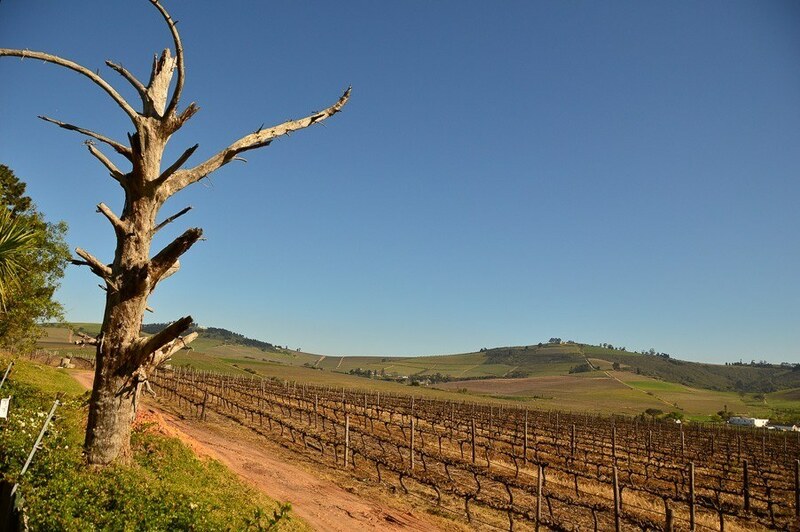 If you’re limited on time then try the Half Day Stellenbosch Private Wine Tour. Combine wine with wildlife on the Full Day Wildlife Wine and Safari Tour. This tour’s first stop is a winery with wildlife. Then you’ll visit an Eagle rehabilitation centre and finish up with Crocodiles – and wine! 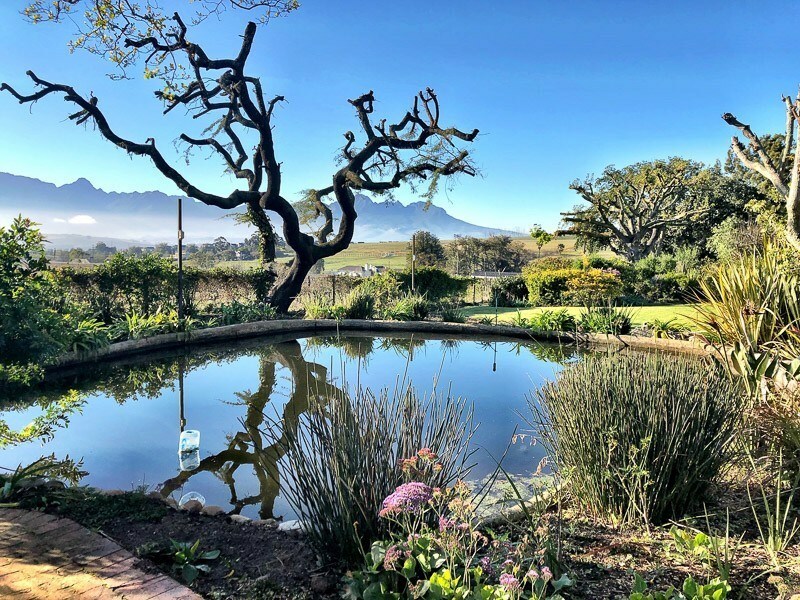 Or if you’re short on time and based in Cape Town this Half Day Wine Safari combines tastings at two wineries with a Big Cat Sanctuary and a Wild Bird Sanctuary. Again, if you’re staying in Cape Town and like motors as well as wine then check out this Wine Safari with Franschhoek Motor Museum Tour. The tour focuses on Waterford Winery and also includes a chocolate tasting. To get even more of a feel for lovely Stellenbosch watch my nice and short video! For a bit of everything check out this Wine, Chocolate, Cheese and Olive Tasting tour. It’s a full day tour from Stellenbosch. On the day you can choose which wine region you would like to visit. There are quite a few private tour options. 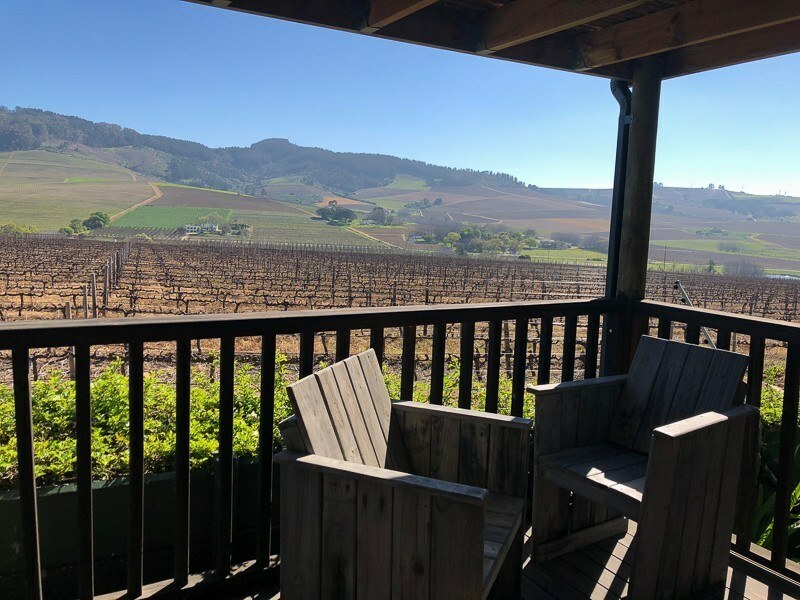 If you are based in Cape Town and keen to see as much of wine country as possible this Cape Winelands tour is a good full day option. 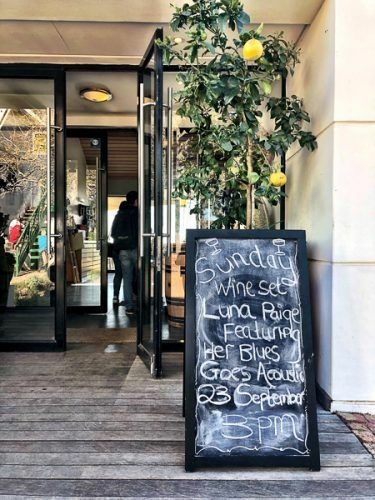 If you’re based in Stellenbosch and want to set your own itinerary for the day then this Stellenbosch Private Wine Tour is a great option. You will set the agenda for the day and can visit up to six different wineries. Or try a Half Day Stellenbosch Private Wine Tour. If you are a big fan of red wine there is a South African Red Wine Focussed Private tour around Stellenbosch that will take you to 4 wineries particularly known for their reds. 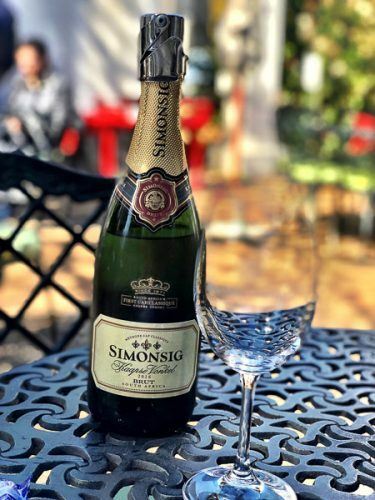 Or if you’re more partial to bubbles check out this Sparkling Sensation Private Tour of Franschhoek and Stellenbosch that focuses on the experts in sparkling wine. The closest airport to Stellenbosch is Cape Town – which covers both international and domestic flights. Click here for Cheap Flights to Cape Town. Hiring a car is the best way to get around the Cape. The roads are good and clearly signed and the distances are quite large. Plus there are lots of areas to turn off and explore. If you’re planning a big trip to South Africa check out this Ultimate South Africa Bucketlist to help you plan your trip. And don’t miss the lovely Cape Town! Here is a fantastic post on 45 great Things to Do in Cape Town. I stayed at the absolutely lovely Wedgeview Country House and Spa – it was my perfect type of boutique hotel! 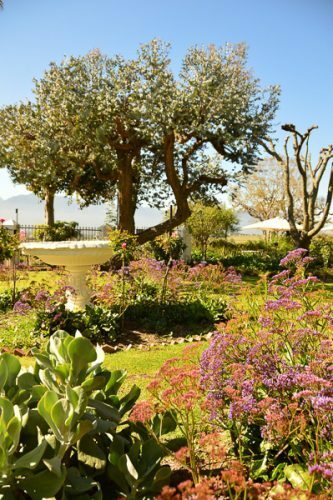 Wedgeview is located a few minutes drive from the town of Stellenbosch on a one-hectare plot. It is very much a mix of a boutique hotel and someone’s very stylish yet relaxing country residence. There are 18 rooms on offer – ranging from deluxe to the Presidential Suite. I stayed in a Vineyard Room. The design style is comfortable Scandinavian – lots of soft colours, light and wooden floors. My Vineyard Room was on the first floor and came with stunning views over the vineyards. The room was a very good size – enough room for my things and to feel spacious without being too big. 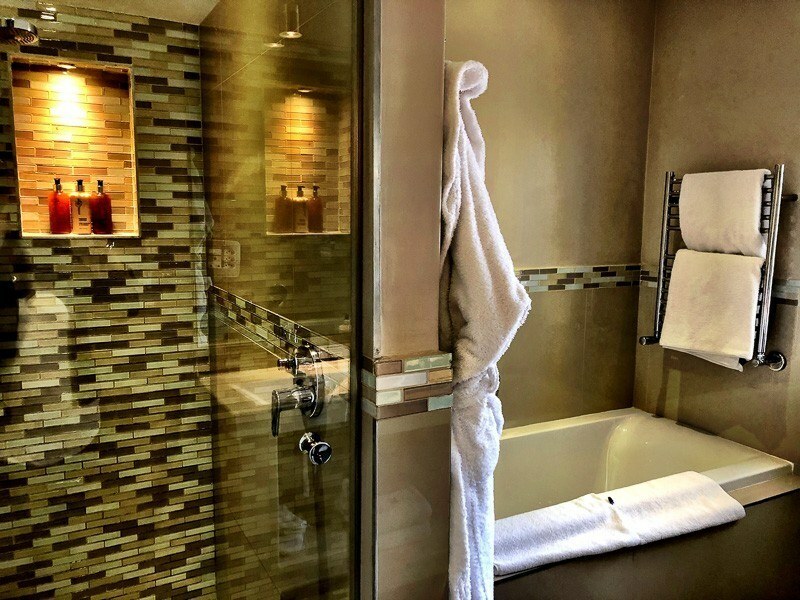 The bathroom is a separate room with a separate bath and shower. I loved the wine-themed toiletries – I have always wanted to wash my hair in Merlot! Going on Safari? Check out my complete packing list of everything needed to go into your Safari Suitcase! The sheets are Percale Linen, there are bathrobes, flat screen tv, strong wifi and all the boutique mod cons. There is also a fully stocked mini bar with wine and treats from the region. Wedgeview also has two decent sized pools and loads of outdoor seating areas. There is an honesty bar – love that! It was possible to help yourself to different wines from the area and just write it down which was fun. Looking for something else fantastic to do whilst in the area? 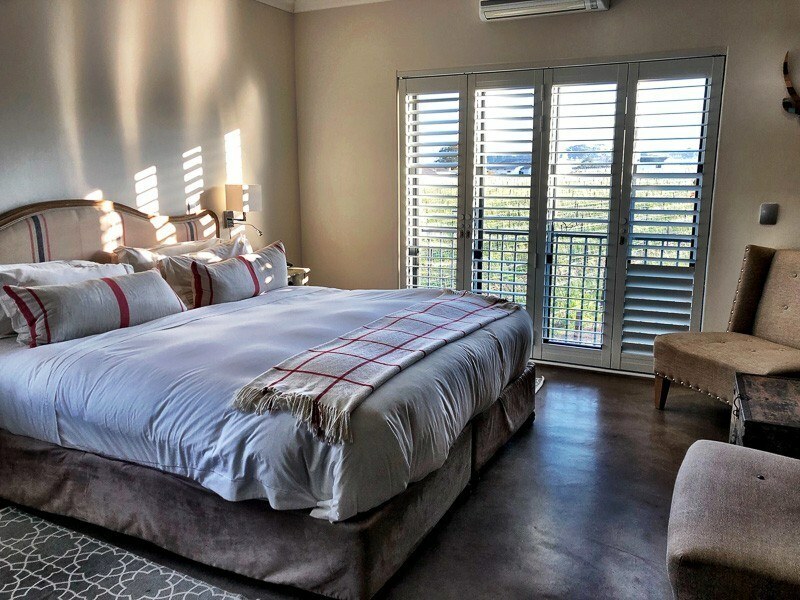 Check out my post on Whale Watching Hermanus – where the owners of Wedgeview have the just as lovely Whale Rock Luxury Lodge! There is a restaurant but it tends to offer one three-course option in the evening which must be booked ahead. Having said that I ate there both nights I stayed and the food was excellent. They also offer soup and/or Winelands platters with local cheese and meats. Wedgeview serves an a la carte lunch. A fantastic buffet breakfast is included which also comes with a choice of hot meals and some excellent coffee. 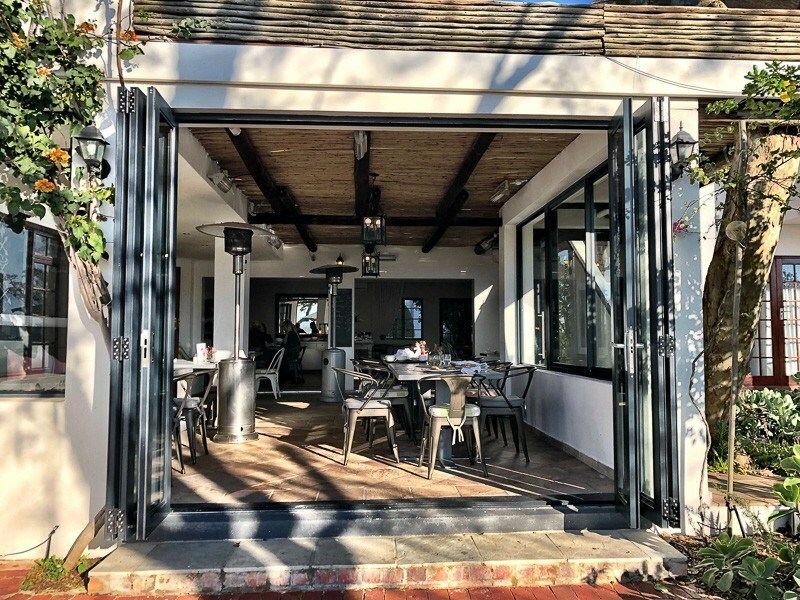 If you’re looking for some balance in your enjoyment of the wine and food of Stellenbosch Wedgeview has a small gym. Its spa also has two treatment rooms and they offer facials, massages etc and there are a sauna and steam room. The spa is open to both guests and those who are not staying. The staff are extremely friendly and helpful – and knowledgeable about the area! Indeed I was heading to Hermanus after my stay and was advised about the stunning Cape Whale Route by the owner Dave which was a brilliant experience. If you click through on the links in this article for tours, flights, hotels etc I will get a small commission on the sale. Just wanted to make sure you knew that. Thanks very much to Wedgeview and Viator for hosting my stay. Please note although they hosted my stay the opinions expressed above are my own. It's far less fun visiting wineries if you're driving. And there is no need when there are so many great Wine Tours Stellenbosch - here is my complete review of all the options available. Wine tours are the best. Love doing this especially during the colder months of the year. Amazing! 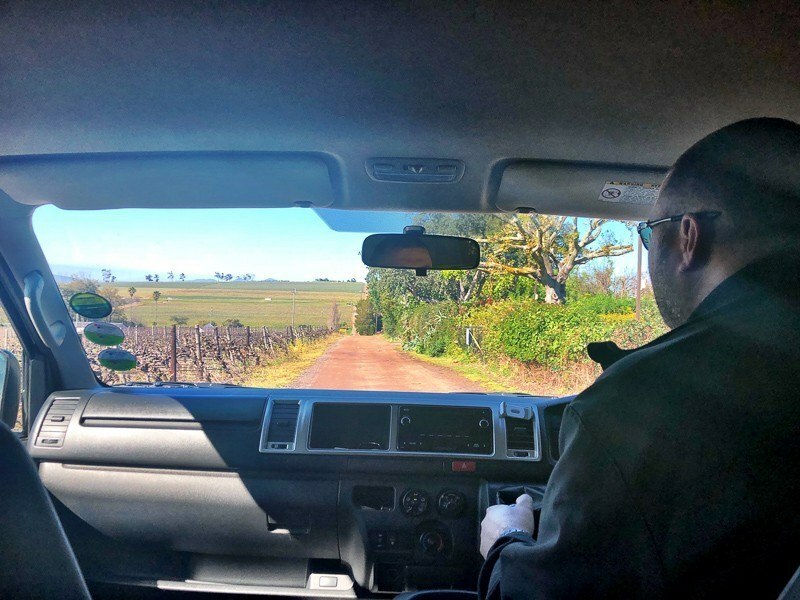 me too Ron – love a wine tour! It sounds totally exciting, would love to tour the Stellenbocsh winery one of the days. Sihle I highly recommend it! Looks like some amazing wine tours here. Glad that you shared these with us. 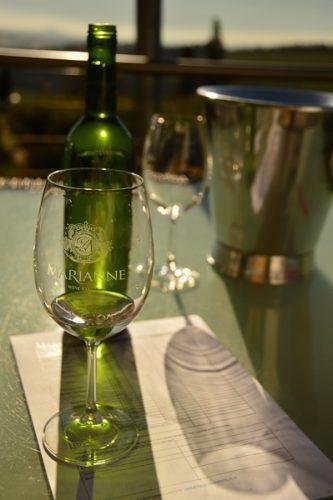 I know many people who will enjoy knowing how to enjoy a good wine tour in Stellenbosch. Thanks Brandy – it is a fantastic area! I don’t have deep knowledge on wine. Stellenbosch is beautiful and I will surely recommend he tour to my friends who are learning wine tasting. Rhian it is still worth visiting as it is such a beautiful area! Knowing the different type of it is the best experience i really love to tasting wine. thanks Elizabeth – I love tasting wine too! Wow, that place is so beautiful and I really loved the idea of having a wine tour with my husband once or twice in a year. I have never tried to do this kind of activity in my life and I think this is the best time for me to try it and I am sure it brings me so much fun! Thanks Gervin – I highly recommend it! I have read a post somewhere about stellenbosch before and exactly about wine.. Cool this makes deep sense. Great tour and sure good wine… I love wine and this makes me wish to visit and have one. Thanks Lex – the area is known for its great wine! thanks Eloise – I highly recommend it! especially the wine hopping! I am not a big wine drinker but I would love try some South African wines. Thanks! you may find South African wines change your mind! I never know about South AFrican wines. I only know about Italian, Spanish, and Californian wines. I have always dreamt of going on a wine tasting tour. Oh my gosh, now I know that I have a lot to learn. Thanks Sigrid – it sounds like you know your wines – I think you would really enjoy south african wines! I clicked as soon as I read the word “wine”. I couldn’t agree more with you. I love wine and if course wine tasting.